Are you planning on trading binary options for a living? If so, it is important to make the jump from thinking of binary options as a hobby to thinking of it as a business. That can be hard to do when the industry largely encourages the former. More than ninety percent of binary options traders who trade as hobbyists will never learn how to trade well enough to do it professionally. If you do, you need to take the same steps that any other professional would when getting started with a new business, and that includes coming up with a business plan. Internal business plans are less formal than external ones, and have a focus on strategy and budgeting. You probably do not need this either, unless you are going to be trading with partners on a team. If you are going to be trading on your own (almost a certainty in the beginning), the One-Page plan is probably right for you. This is literally just a really brief rundown of your plan that fits on a single sheet of paper. There is no single “right” model for a business plan; there are endless variations on every kind. A lot of the questions which are applicable to other businesses probably are not applicable to you right now. For example, you do not need to spend time thinking about the right kind of customer, unless you are planning from the start to manage other peoples’ accounts. If you are only trading for yourself, you have no customers. Likewise, you do not need to worry about a “product” or a “service,” because you are not producing anything. Nor do you need to market nor worry about demand (one of the nicest things about binary options trading!). 1. What resources do I need to get started in binary options trading? In many ways, thankfully, binary options trading is a fairly simple business to get into. The supplies you need are quite minimal. You need a computer and/or a mobile device (I do not recommend trading exclusively on a mobile device; a desktop or laptop is very helpful, if not completely necessary) with a reliable and fast internet connection. You need time to trade, though not necessarily as much as you might think (you can do this on top of a full-time job if necessary). You need money to invest. You need to choose a broker to invest with. And you need knowledge and a trading system. The last two will probably involve the most work (along with finding the venture capital). And that is really about it. What do you need at an absolute minimum to start trading? And no, “$100” is not a good answer, even if it is your broker’s answer. Why? A couple reasons. Firstly, with $100 in your account, you cannot trade according to a responsible money management plan if the minimum trade size is even $10! You need to deposit enough that you can trade no more than 5% of your trade at the very outside, preferably less than that. Secondly, you will be making money at such a crawl at that rate that there really would not be much point. I would recommend starting with at least $500, but once you do the math, you might decide $1,000 or $2,000 is a better number! Here, most business plans go into a pricing model. Thankfully for you it is probably much simpler than that. If you are trading on your own, your revenue is whatever money you make from your trading. If you are trading with a team, you will need to decide how and when to divvy up the winnings. If you are trading for clients, you will have to decide what percentage to take as a commission, and when you will be paid. Again, if you are trading for clients, you will need a much more comprehensive business plan. Identify online trading communities where you can talk to other binary options traders. That way you can get the support you need emotionally, and also gain access to educational materials. Ensure that your binary options broker provides you with a reasonable amount of support as well. You may also want to search for a binary options mentor or coach who can teach you about trading and help guide your progress. This is not an easy business to pursue completely on your own in a vacuum. Try and predict what some of your biggest pitfalls are likely to be. Maybe you know that you struggle with money management, or perhaps you know that you tend to be an emotional trader. You might also know that there are potential problems with your trading method, certain types of markets you need to avoid trading in, and so on. Perhaps you know you will react badly to failure. Whatever your likely pitfalls are, make a list of them. Avoid the ones you can. Those you cannot avoid completely, you will need a contingency plan for. Setting goals is perhaps the first step in measuring success, because you cannot figure out if you are making progress unless you know what you are progressing towards. Even once you do, though, you need to come up with mile markers you can use to help you establish where you are. The first instinct for most new binary options traders is to use the dollar amount in their account as their measurement of success. While you definitely want to see that number climbing, I recommend that you steer clear of this definition of success. Why? You will be moving along slowly in the beginning, unless you happen to have a huge account to start with. That method of tracking success encourages impatience, and may make you feel like a failure when you are not one. You can plan all day long and never get anywhere if you do not eventually take that plan and put it into action. So the last step in writing your binary options trading business plan should be to figure out exactly what you need to do next. What can you do to start accumulating the venture capital you need to start trading? How can you begin soaking up the knowledge you need to become an expert? What trading methods can you begin trading right now? What communities can you join, and what conversations can you start? Once you come up with your next steps, do not stay nebulous about them. Instead, translate them into achievable short-term goals. 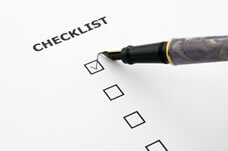 Set a schedule for accomplishing these tasks. Put aside a certain amount of money each month until you have enough to trade. Decide on a weekly schedule for researching and testing binary options trading methods. Come up with a tentative guess at when you could start trading live. Know that you will probably have some setbacks as you move toward that time, but don’t let that hold you back. It takes time and thought to come up with a binary options business plan, but you can probably get one written out in an afternoon. Doing so can actually save you a lot of time and money, since it will get you on target and on schedule. Since you will be more focused, you will be less distracted, and you will have a much better shot at achieving your goal of trading binary options for a living.